lists, mapping plans for the “disposition” of suspects beyond the reach of American drones. Although the matrix is a work in progress, the effort to create it reflects a reality setting in among the nation’s counterterrorism ranks: The United States’ conventional wars are winding down, but the government expects to continue adding names to kill or capture lists for years….That timeline suggests that the United States has reached only the midpoint of what was once known as the global war on terrorism. Targeting lists that were regarded as finite emergency measures after the attacks of Sept. 11, 2001, are now fixtures of the national security apparatus. 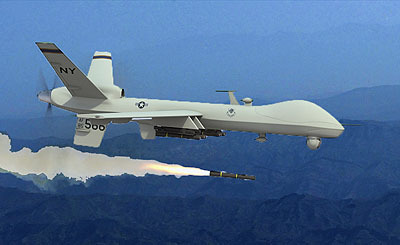 The rosters expand and contract with the pace of drone strikes but never go to zero. Doug Mataconis has a good summary of reaction to Miller’s piece here. It’s worth a read.